08 Apr 2019 --- Berlin Packaging, a full-service supplier of glass, plastic and metal containers and closures, has acquired Verrerie Calvet, a packaging supplier strategically located in Aimargues, France. Verrerie Calvet brings strong experience in packaging for wine, spirits, olive oil and condiments. The move marks Berlin’s ninth overall acquisition since 2010 and the third in Europe since 2016 and is aimed at strengthening the company’s capabilities in Europe and France in particular. The news follows the US$500 million investment by Oak Hill Capital Partners and Canada Pension Plan Investment Board (CPPIB) in Berlin Packaging last December. The cash injection was to facilitate the next stage of the company’s growth. The substantial investment will be used, among other initiatives, to acquire companies across North America and Europe, but they are not ruling out other geographies as well, the company noted at the time of the announcement. Berlin Packaging is a US$2.6 billion global supplier of rigid packaging products and services across a range of sectors. The company has a stronghold in North America, where it has operated since 1898. The company operates in Europe through its Bruni Glass division – with headquarters in Milan, Italy and locations and warehouses through Italy, France and Spain – and its Bruni Erben division – with locations and warehouses in England, Scotland and South Africa. Newly acquired Verrerie Calvet brings experience in glass customization and decoration, including an in-house screen-printing service. 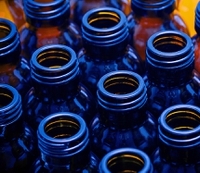 This is as well as its primary business of glass bottles and jars, metal containers and closures and specialty boxes and bags for transporting and shipping wine and oil. Verrerie Calvet will be integrated into Berlin’s Bruni Glass organization and will be run in partnership with Bruni Glass’ team in France, which has offices outside Nice as well as two warehouses. The French company brings experience in glass customization and decoration, including an in-house screen-printing service, as well as its primary business of glass bottles and jars, metal containers and closures and specialty boxes and bags for transporting and shipping wine and oil. All of the product lines that Verrerie Calvet brings are now available to all customers of Berlin Packaging, Bruni Glass and Bruni Erben. Verrerie Calvet customers can also now benefit from the products and services that Berlin and Bruni offer, including an array of glass packaging and innovation centers located on two continents. The acquisition of Verrerie Calvet is expected to close in the following weeks. Integration planning is already underway. Plans for investment and growth are already underway. We are the World's Only Hybrid Packaging Supplier®. Our business model is designed to make packaging easy for our customers. We can find it, design it, source it, make it, ship it, store it, and more. We offer a range of packaging products and services designed to streamline packaging supply chains and grow profits. For any market or industry, One Call Brings It All!®. From simple product sourcing to complex custom package design, we are ready to help you Package More Profit®. IFE and Pro2Pac 2019: What’s trending in beverage packaging?